The Florida nursing home (Hollywood Hills Rehabilitation Center) where eight residents died during Hurricane Irma has caught headlines here in Florida, and drawn questions regarding negligence, particularly given the significant injuries experienced by those in the home. The elderly residents at the Center reportedly faced temperatures in excess of 100 degrees that day due to air conditioners losing power, where the facility was allegedly operating without the proper generators needed for a storm like Irma. What about premises liability as well? We place our loved ones into these homes, and pay facilities like these to ensure that they are safe and taken care of. It is arguably reasonable to assume that a facility that houses senior citizens and has fair warning that a serious natural disaster like Hurricane Irma is coming would make it a priority to have what it needs on-hand to keep the power running, particularly given the dangers that heat stroke can pose to the elderly. 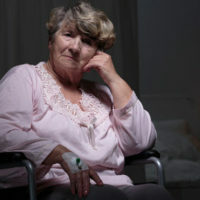 Premises liability involves the duty of property owners to maintain safe environments for those on their premises; thus, if someone who rightfully belonged in that facility was injured due to the negligence of the nursing home, the home can be held accountable under the theory of premises liability. According to the Center’s administrators, Florida Power & Light was contacted right away when the facility’s power went out. However, the company never came out to the site, and even reported that homes like these were not a priority compared to hospitals, for example, and 911 was evidently not telephoned until a few hours before several patients had died. According to recent reports, once Florida Power & Light did arrive after the deaths, it only took approximately 20 minutes to get the facility’s power up and running, indicating that this was not a complicated fix and, arguably, tragedy could have been prevented here, had the right steps been taken in advance of the storm hitting. As a result of the incident, one resident has already filed a lawsuit, claiming that the Center demonstrated negligence and reckless indifference towards its elderly residents. In order to successfully bring a premises liability claim against a facility like this, the injured victim must demonstrate that those in charge of the facility knew about the hazard but failed to take the proper steps to address it. In this case, it was arguably negligent for those running the home to wait until it lost power and expect that emergency services like Florida Power & Light could arrive right away and successfully restore power; rather, many have pointed out that, had the facility simply had the proper generator, those who suffered and died inside might have been spared. At Friedland & Associates, we hold Fort Lauderdale property owners accountable for the damage caused in accidents like these, where your loved ones experience painful injuries and/or are sometimes even the victims of wrongful death. Contact our experienced Fort Lauderdale premises liability lawyers today to find out more.